Everyone understands the embarrassment and pain of acne. The problem begins for many of us in our teenage years and some outgrow it. However, some of us aren’t that lucky. Treating acne is a cornerstone of the health and beauty market. There are many facial washes and astringent products available to the public. Most of these spot treatment products dry out the skin and can make your acne problem even more noticeable! Stress – That bad day at work is hurting you in more ways than one, including your complexion. Bad Health Choices – Junk food is terrible for your complexion. The sugar and grease will only make your acne worse. Hormonal Changes – Menopause and menstrual cycles can affect your complexion. Luckily, there are natural spot treatments for acne that will soothe your skin, not punish it. If you or a self-conscious teen in your life have trouble with over-the-counter acne solutions, then here are some all natural options. Raw honey is a great natural antibacterial ointment. Don’t mistake raw honey for the stuff you find in the grocery store. Raw honey is straight from the beehive. It heals inflammation, can reduce scarring, and is an ancient answer to blemish control. Instead of using a carrier oil, like grapeseed, sunflower seed, and coconut oil, you can use raw honey as the carrier for your favorite essential oils to treat acne. 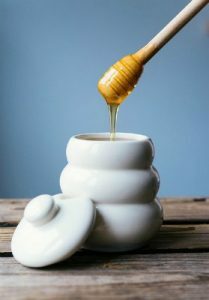 Infused honey is a simple recipe consisting of raw honey and the essential oil of your choice (see best options below). Add 30 drops of essential oil or a combination of oils to 1/2 cup raw honey. Let the honey mixture sit for two to three days before using it. This natural spot treatment for acne is easy to make and can be tailored to your preferences. There are many essential oils that have antibacterial and anti-inflammatory properties, making them ideal for treating acne. Even though some of these oils can be used neat (e.g. tea tree and lavender), when it comes to treating acne spots, it is best to dilute them first. As the skin is already inflamed and sensitive, undiluted oils can irritate the area further and cause a rash. Always add your essential oil to a carrier oil (coconut or jojoba are ideal) or raw honey. Your skin will thank you when it isn’t red and irritated by straight essential oil. To use, add 1-2 drops of essential oil to 25-30 ml of carrier. Apply with a cotton swab and dab the acne to treat it. Remember, essential oil infused honey isn’t for eating! Check out the best brands of essential oils to try. To get better coverage on a massive outbreak, consider using a face mask to treat your acne. A highly recommended facial ingredient is turmeric. This popular Indian spice has many health benefits you can read about here. For treating acne, make up an antibacterial and anti-inflammatory mask using turmeric. To make the mask add 2 teaspoons of turmeric to 1-2 teaspoons raw honey, 1 teaspoon olive oil, and 4 tablespoons Greek yogurt. Mix together well, apply it to your skin and let it sit for 30 to 45 minutes. Rinse off gently and pat your skin dry. This soothing mask reduces the swelling of acne and removes bacteria. Try experimenting with different combinations to see what works best for your skin. One of the simplest natural spot treatment for acne is green tea. Green tea has antibacterial properties and is a common dry ingredient for raw honey facials. 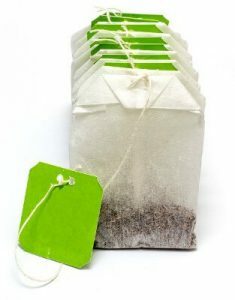 To use, seep a green tea bag for three minutes, remove and let the bag cool. Then press the bag to your blemish for 30 to 45 minutes. If the breakout is bad, use more than one tea bag. Another option is to open up the tea bag and combine the contents with raw honey. Apply to the affected area and the two ingredients will create an unfriendly environment for bacteria. You don’t have to waste your money on expensive over-the-counter creams. Managing your acne can be done in your own kitchen with a few simple, natural ingredients. 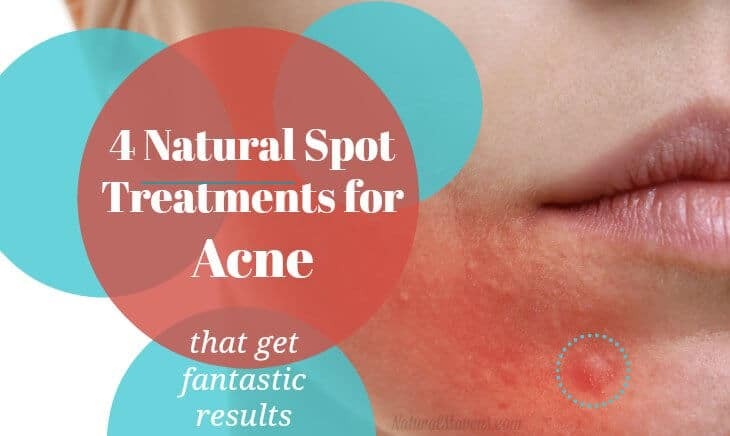 With a little bit of trial and error, you can find the best natural spot treatments for your acne problem. Start with the options above and your pimple problems will soon be gone.